Documenting lesser-known sights, stories and landmarks in and around Bordeaux, France. Journées du Patrimoine 2013: the Invisible Bordeaux selection! 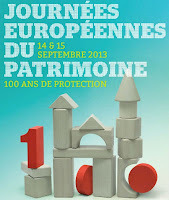 The annual European heritage days take place on September 14th and 15th. As ever the event will provide a unique opportunity to get behind the scenes of many fascinating places, or else stay out in the open and enjoy some fine guided walking tours. Here is a small selection of some of the more unusual visits which have caught the eye of Invisible Bordeaux, while the full list of venues and visits - in Bordeaux and beyond - can be found on the official event website. This mansion on Rue du Mirail is regarded as a case study in elegant Bordeaux architecture. It was originally built for the president of the Parlement de Bordeaux but, since 1801, has been the main Bordeaux office of loans specialist Crédit Municipal de Bordeaux. This neo-classical city centre mansion serves as the command centre for south-western France’s air force support branch. It was here that General de Gaulle was on June 16th 1940 when he heard that France intended to capitulate. He soon departed for London, where he delivered a famous radio address, broadcast by the BBC, widely known as “l’appel du 18 juin”. The city’s sole surviving ornamental iron workshop will be opening its doors over the weekend, providing a close-up (but hopefully not hands-on) introduction to the handiwork of Pierre Guillebeaud and his team of master craftsmen and women. The good people of Musée d'Aquitaine are laying on a whole host of guided tours, workshops, and films over the Heritage Days weekend. The event Invisible Bordeaux has its eye on is a tour of the réserves du musée, which is no doubt a treasure trove of unusual (and rarely viewed) documents and objects...including the statue of Léon Gambetta which once stood on Allées de Tourny. at Invisible Paris). Is the tree still there? The Michelin-starred Le Chapon Fin, one of the most iconic restaurants of Bordeaux, will be open to all-comers over the Heritage Days weekend. Founded in 1825, it has always been an essential stop for many of the city’s most influential movers and thinkers, as well as welcoming illustrious diners including Sacha Guitry, Toulouse-Lautrec and Sarah Bernhardt. The restaurant is renowned not only for its cuisine but also for its greenery! This famous swimming pool was built between 1931 and 1935 as part of the Plan Marquet, rolling out the then mayor Adrien Marquet’s vision for new public buildings that would share a unified architectural approach (other examples include the Bastide bains-douches establishment and the municipal football stadium, now known as Stade Chaban-Delmas). The pool is listed as an historic monument, as is the spectacular decorative gate (previously the entrance to a horse-riding school). Jock, purveyors of fine crèmes and readymade cake mixes - and the subject of the most recent Invisible Bordeaux article - will be organising factory tours on both days. It will be a chance to sample the company's products, learn more about the production process... and possibly even find out where the name "Jock" comes from. The company also promises a number of surprises and a raffle with prizes including official Union Bordeaux-Bègles rugby balls! A far cry from the usual picture-postcard views of Bordeaux, the high-rise Cité du Grand Parc estate was built between 1954 and 1975. Located on the northern outskirts of the city, it aimed to provide a practical and economical solution to the escalating housing shortage in Bordeaux during the “Trente Glorieuses” boom period, as well as a place to house many who had been evicted from the Mériadeck district. Some 4,000 apartments make up the complex which, despite being within easy reach of the city centre, feels like another world. Guided tours will be taking place on both days. 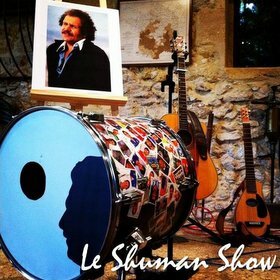 In Bordeaux as elsewhere in France, the local TV studios of the France Télévisions group are organising behind-the-scenes tours for the general public. The chance to see TV studios, control rooms, newsrooms and possibly even one or two local TV celebrities is once again proving to be a popular draw! Englishman Tim Pike is often to be spotted on a yellow bicycle struggling with a camera in and around Bordeaux. 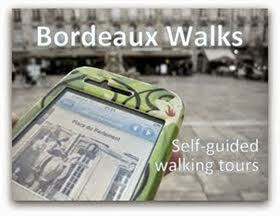 More "invisible in bordeaux" .. Please have a look here ! best regards ! Enjoy ! Ah, I wish I'd spotted that earlier - I'll do better next year and make sure that a bordeaux3945 event is on my personal wishlist as well! Locate all the subjects featured in the blog! New articles direct to your mailbox!